Senior living construction is about building a better quality of life. Our experienced healthcare construction professionals take an evidence-based approach to designing and building healing spaces proven to enhance health outcomes for the ill or elderly. From interior design and color scheme to floor plan and building materials, every element comes together to give seniors the dignified, healthy lives they deserve. Extensive research has shown that patient outcomes and quality of life in healthcare settings can improve dramatically when the environment is healing. With our complete team of seasoned healthcare construction professionals, we understand how to create environments that soothe, heal and promote vitality and community. We combine decades of experiences in healthcare construction and building better care with a wide range of experience in housing construction. We’ve built hospitals and clinics, dormitories and apartment complexes. When we build senior living facilities, we bring our knowledge and experience together to deliver top-quality facilities that help create community. We partner directly with care providers to ensure that we meet every possible need through construction. If we’re expanding your existing facility, we’ve got all the safety and construction experience to phase our build around your care — without disrupting life for residents and care providers. With our proven process, we add value throughout every phase of your project and ensure you get exactly the facility you need when you need it. Since 1958, The Korte Company has completed more than 2,000 projects nationwide. 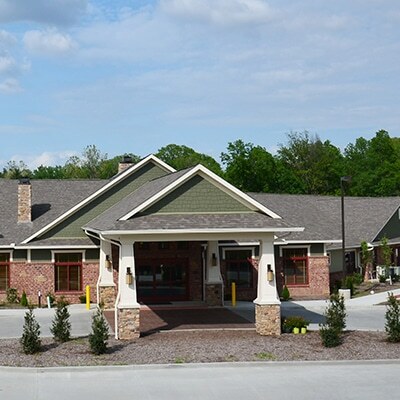 And we’ve designed and built a variety of senior living facilities throughout the country — always on-time and on-budget. Learn how research-based interior design, innovative architectural models and cutting-edge construction methods have changed senior living.